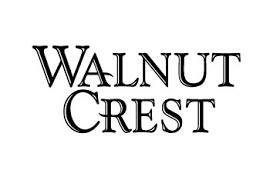 Although Walnut Crest wines were introduced less than a decade ago, they rank today as the second-largest exported wine brand from Chile. The producer, Bodegas y Viñedos Santa Emiliana of Santiago, Chile, use grapes grown in its own vineyards, 3,500 acres in Chile's Maipo, Casablanca and Rapel valleys. All three regions are noted for ideal soil and climate. Currently, the company is increasing its vinification and bottling capacity and renovating its cellars to allow it to focus on its premium offerings - Merlot, Cabernet Sauvignon, Chardonnay and Sauvignon Blanc. Deep, lush red. Bouquet: Heightened aromas of black cherry, dark plums and layered with spicy notes. Taste: Delicious fruit flavors of plum and berries are coupled with a velvety mouth feel and gentle tannins.